"…for Hazor beforetime was the head of all those kingdoms." (Josh 11:10) Tel Hazor (the upper city) is part of a larger city which for a long period of time was the most important city in the northern area of the country. It is mentioned in 18th century BC documents from Mesopotamia; among a list of cities conquered in 1478 BC by Egypt’s pharaoh, Thutmose III; in the Tell el-Amarna letters; and in the Bible. The lower city is situated to the north of the Tel, and covers an area of 200 acres; it was encircled by an earthen rampart and moat. History Information found in the Bible about Hazor raises some difficult questions. According to the book of Joshua, the city was conquered in the first wave of Israelite infiltration into Canaan under the leadership of Joshua. On the other hand, the book of Judges cites Hazor as an important Canaanite city in the days of the warriors Deborah and Barak, many decades after Joshua’s conquest. Are archaeologists able to affirm or refute these biblical versions? Excavations on the Tel determined that the city was settled at a later date. 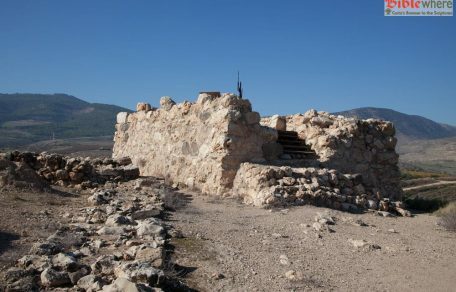 According to Yigael Yadin, the archaeologist in charge of the excavations, the lower city was destroyed during the course of Joshua’s conquest; on the other hand, the upper city dated from the time of Deborah. 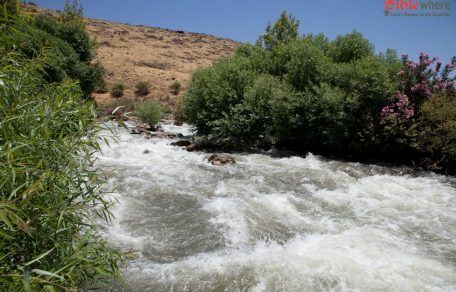 The archaeologist Yohanan Aharoni disagreed with this interpretation of the findings arguing that the Joshua story was not a historical account but rather a later story formulated by Israelite settlers who had infiltrated into the area. The dispute remained unsettled. In the book of Kings, King Solomon is accredited with building three cities: Megiddo, Gezer and Hazor. This gave grounds for assuming that important structures, for example the gates of the three cities, would be similar. The archaeologist R. A. S. Macalister conducted excavations at Gezer early in the 20th century at a time when the rules of excavation did not require documentation, and areas left unexcavated were not safeguarded for future generations of archaeologists.